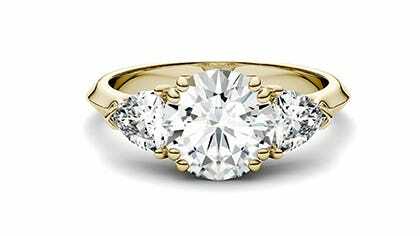 Three stone engagement rings are becoming the new standard in expressing undevoted love. The three stones represent the trilogy of your relationship: the past, present and future or friendship, love and fidelity. 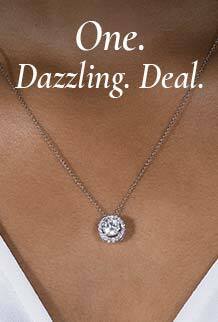 Show your devotion with an artfully-crafted and eco-friendly moissanite engagement ring. If you're looking for a little something extra, three stone halo engagement rings and cushion cut settings are the perfect way to say I love you.